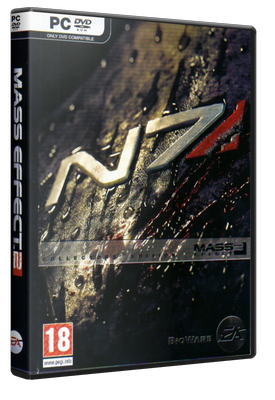 Mass Effect 2 begins weeks after the ending of the first game. While patrolling for geth, the Normandy is attacked by an unknown starship, and many crew members die, including Navigator Pressly. The remainder of the crew is then forced to evacuate. During the evacuation, Shepard tosses Joker into the Normandy’s final escape pod before being blasted into space. After a suit breach, Shepard dies of asphyxiation and his/her body is pulled into the orbit of a nearby planet. With the help of former squadmate Liara T’Soni, Shepard’s body is retrieved by a human supremacist organization called Cerberus and made the subject of “Project Lazarus,” whose only goal is Shepard’s resurrection. Once revived, Shepard awakes aboard a besieged station, and escapes with the help of Cerberus agent Jacob Taylor and Lazarus Project head Miranda Lawson. Immediately after, Shepard is given an audience with the Illusive Man, head of Cerberus.